Nazarene Publishing House (NPH) is not closing its doors, but is undergoing a company restructure. All imprints of WordAction Curriculum and Beacon Hill Books have continued business uninterrupted. Based on NPH’s current financial situation, Interim CEO Mark Brown said the business model would change Dec. 2. “However, NPH management is developing a new strategic plan, and we look forward to continuing to meet the literature needs of the Church of the Nazarene and our Wesleyan partners,” Brown said. The board of directors approved the new plan for NPH to go forward. 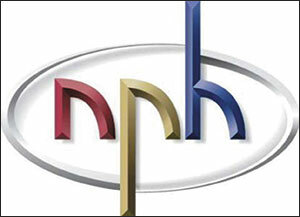 At nph.com, the board clarified previous reports of the demise of the house. “It’s true that Nazarene Publishing House found itself in an unprecedented financial crisis in the final quarter (October, November and December) of 2014. Closure was imminent, and leadership made the difficult decision to cease business operations under the current model, including dismissal of all employees as of Dec. 1. Under the leadership of a new board, NPH management then developed a plan to restructure. However, management did decide to seek a buyer for church music imprint Lillenas Publishing. Beacon Hill Press also is refocusing on “the New Beacon Bible Commentary , textbooks and pastoral titles,” according to the site.